Italian football peaked in the 1990s with the Milan triumphs in the Champions League (1989, 1990), the World Cup final in 1994 and Inter’s rebirth. The rich club owners imported many spectacular attacking players and produced some good defenders, the likes of Maldini, Costacurta and Nesta. However, a provincial club from Emilia-Romagna shined twice between 1992 and 1995 by winning the Italian Cup, the Winners’ Cup and the UEFA Cup. In the ’98-99 season, a package of spectacular footballers led this club to a fantastic double, the Italian Cup and UEFA Cup. This team was Parma AC 1913. We can’t start talking about 1999 without mentioning the first chapter. Parma had been promoted from Serie B in 1990, Parmalat bought the club allowing them to compete with the pillars of Italian football. They started the decade with Nevio Scala as coach, he led them to the Italian Cup and some exploits in European football, the Cup Winners’ Cup and the Supercup (1993) and their first UEFA Cup in 1995. His Parma ended Milan’s famous 58 game unbeaten run. Scala was replaced in 1996 by a novice, former of the house, Carlo Ancelotti. At this time he was not yet Carletto, the successful coach that he is now. 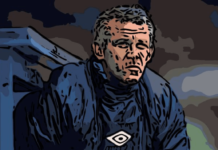 During his reign he had problems with Gianfranco Zola, he was shunting out the little (1,68m) artist on the wing and refusing to sign Roberto Baggio, the most valuable Italian player in this decade. At this time, Ancelotti didn’t have any trust in any playmakers (he confessed in his book The beautiful game of an ordinary Genius). He promoted the team like Barcelona coaches used to, promotion of players from the club’s academy into the first team and created a new strike partnership of Enrico Chiesa and Hernan Crespo. It was not a surprise when he has been sacked two years later in 1998 before taking over at Juventus a year later. According to Tanzi, his team played to entertain not to win. Like Pablo Machin or Jose Mourinho, he retired early (at 24) to take a job with photographic company Canon but never gave on his dream to coach. Passionate about Ajax’s totaalvoetbal methods. He started his coaching career with the Chievo children at 33, three years later coached the youth team, and then assistant manager 12 years later. In 1993, he finally landed the manager’s job and prompty won the Serie C1 title in his first season. He moved to Fiorentina for a season, proving himself, then he joined Parma. Tanzi saw in him the response he was looking for since Scala. Gianluigi Buffon, Juventus and the Italian national team, will ever be in Parma’s debt because one of the best goalkeepers the world has ever know was moulded by them. Buffon started as pro, at 17 years old before imposing himself as starter, to shine during six seasons (225 matches) and rallied la Vecha Signora in 2001. The defence was composed by several elements that astonish you. Let’s take a look. After an experience at Monaco, Lilian Thuram discovered Italia where he found his cruiser speed as a boss. Awarded as the best French player by France Football and best foreign element in the Serie A in 1997, the rock collected so much experience at Parma. The one who had just won the World Cup (summer 1998) played as a right stopper, in the middle as libero (a term not really employed nowadays) another world-class stopper – the old version of Chiellini. He’s not the sexiest, poor technically, but Nestor Sensini compensated his lack of elegance with a high dose of solidity and his art of placement. Polyvalent, the Argentine defender (59 caps with the Albiceleste) pissed off a lot of good scorers in Serie A. In 1998/99: there was Gabriel Batistuta, Oliver Bierhoff, Ronaldo, Marcelo Salas, and Christian Vieri. Alongside them, Fabio Cannavaro, his partnership with Thuram was one of the most notorious, for compactness and its complementary nature. You had to create the impossible to beat them and despite his height (1,76m) he became a world-class defender. As left-wingback, Paolo Vanoli. On the other wing Diego Fuser. They both provided attacking support and were enough solid at defending their flanks. 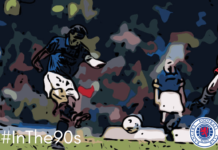 He’s not a relative to Roberto, but Dino Baggio was a monster, with his 1,88m, you can’t miss him. The Italian international (60 appearances, 7 goals) played six seasons for Parma (172 games, 20 goals) was a vastly underrated box-to-box midfielder who both protected the defence and contributed to attacking moves. Alain Boghossian: the other French representative in this starting XI. In four seasons, (89 matches, 10 goals) the hyperactive midfielder rallied after the World Cup. He won the UEFA Cup, the Italian Cup and Supercup. Juan Sebastian Veron: a majestic playmaker who sadly failed in England because Sir Alex Ferguson didn’t know how to use him (he admitted in his autobiography). Enrico Chiesa, a magnificent forward who was better in European fixtures associated with Hernan Crespo, the Argentine striker started his Italian career with Parma at 21, he was incredible, scoring 28 times this season. In total, he scored 79 times in 148 matches. In 2012, he finished his career with his first love (14 goals in 50 matches). Nowadays, he’s in charge of La Primavera. Malesani had on the bench, Antonio Benarrivo. He wasn’t given a lot of media coverage but I don’t think it was helpful. During 13 years, he owned the wing (258 matches, 5 goals) solid and offensive. He played 23 times for La Nazionale, in 1994 he debuted the 1994 World Cup final against Brazil. The Croatian midfielder Mario Stanic, Faustino Asprilla: the Colombian played in 1992-1995 moved from and back in 1998-1999 to help the team. That wound-up ball of craziness whose rubber legs and outrageous temper made him a cult hero at Parma twice. The Argentine forward Abel Balbo. They scored 28 goals in twelves matches. Their victory over Marseille (3-0) in Moscow’s Luzhniki Stadium was a stroll. Their greatest display was in the quarter-final second leg against Bordeaux, who would that season win the Ligue 1 title ahead of Marseille team littered with star names such as Laurent Blanc, Robert Pires, Andreas Kopke, Fabrizio Ravanelli, William Gallas and Christophe Dugarry. Parma trashed them 6-0 with Crespo and Chiesa each scoring each twice. It was witnessed by only 16,000 spectators. The route to the finale. “We neither had the mental stamina nor resilience to win the Scudetto. But in a one-off game, I can honestly say we are as good as anyone” admitted coach Scala. Malesani couldn’t match his second-place finish because of a lack of mental resilience, Parma took eight points from their last nine games to slip far behind the top two, as Milan and Lazio pushed each other to the wire. Parma had beaten Milan 4-0 at home. Juventus home and away beaten five of the top eight at home but dropped 14 points against the division’s bottom six. Hernan Crespo finished Serie A as Parma’s top scorer with 16 goals. Parma finished in fourth with 55 points, fifteen points behind AC Milan led by Alberto Zaccheroni. Lazio finished second, losing the title on the last day. 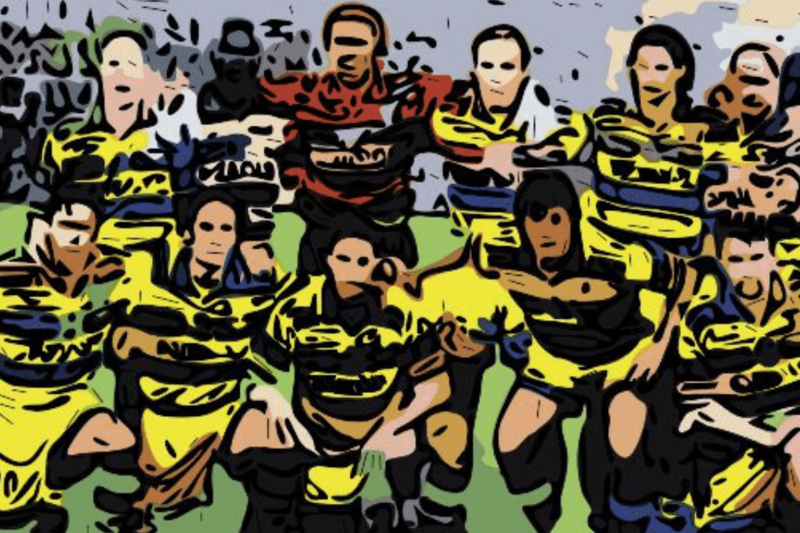 The blue and yellow never likely to win a Scudetto however much Tanzi coveted that domestic title. The team that beat Fiorentina in 1999 Italian Cup was hit by the departure of the wonderful playmaker (Juan Sebastian Veron) to Lazio. A season later the team lost, the future best goalkeeper in the world (Gianluigi Buffon), the future 2006 Ballon d’Or (Fabio Cannavaro), the future most capped player for France (Lilian Thuram), and their finisher (Crespo) sold for 56million at this time he was the highest transfer recorded. I bet now you’re waiting for the most important player of the team? But the real question is who will you choose? Like the Spanish national team (2008-2016) there hadn’t been a superstar. It was a collective full of talents. What made them iconic, was not the achievement of the team but what their individuals would become, almost peaked elsewhere, but were nurtured at the same club. Parma were a provincial club playing in a 29,000 capacity stadium. Even after Malesani left. You have to remind yourself that younger supporters will only know those players for what they became, not where they were in 1999.